Sure, a 529 college savings plan can be a great way to save for your child’s education-they allow you to invest in a tax-deferred account for tuition costs (lifetime limits vary by state, but are typically $200,000 or more). 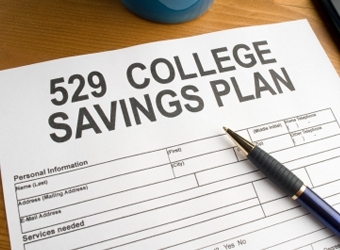 How can you maximize the savings in your child’s 529 plan? Don’t miss these key strategies that are often overlooked, from Mark Kantrowitz, founder of financial aid resource FinAid.com. Don’t focus too much on the tax deduction. Many states’ 529 plans offer full or partial state income-tax deductions for its residents, which can make investing in your home-state plan look like a no-brainer (contributions to other states’ plans are generally not deductible). But if you start saving when your child is young, you should really focus more on finding a good plan with low fees, says Kantrowitz. Why? 529 fees are charged every year, based in large part on the presumably growing balance of your account. “So if you open a plan for a newborn,” he explains, “you’ll have 17 years of fees ahead of you.” And that may very well outweigh the benefit of state income-tax deductions. His advice: Don’t automatically give tax deductions a lot of weight when choosing a plan, especially if college is a ways away. If, however, you’re starting to save when Junior is closer to college—and you have fewer years of 529 fees ahead of you—then the tax deduction matters more. Look closely at what you’re paying for advice. Take full advantage of free money for college. You may already be making automatic contributions into a 529, but did you know that you can add to it just by participating in a loyalty rebate program, such as Upromise. Log on, input your credit card information, and when you purchase goods from a participating vendor with that card, you get a college savings rebate. Darrell Kirton been writing and editing personal finance publications for nearly 20 years, and is a father of two.